Following amendment of the Foreign Exchange Regulations, foreigners are now free to participate in the Dar es Salam Exchange (DSE) and, to a limited extent, in Government securities. Before this amendment, foreigners were not allowed to participate in Government securities at all, and were limited to only 60% in listed securities. Tanzania, except Government securities (Regulation 3(1). Non-residents from East Africa can participate in Government securities up to 40% of the amounts issued but any one East Africa country cannot exceed two-thirds of that 40% (Regulation 3 (2). As explained by CORE Securities, Tanzania’s leading stockbroker, as it was the original Foreign Exchange (Listed Securities) Regulations 203 that set the 60% limit for foreigners, its amendment effectively means that the foreigners’ limit in the DSE does not now apply. Dealing in Government securities was also closed for all non-residents. This amendment effectively means that Government securities are now open for East Africa residents up to 40%, but still closed for non-East African investors. The second Regulations apply to residents acquiring from, or selling or transferring to non-residents any securities, note or coupon. only within the East Africa Region. The difference with the first Regulations is that whilst the first Regulations apply to listed securities, the second ones allow outward investments in any securities. 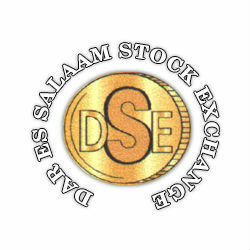 To learn more about the Dar Es Salaam Stock Exchange (DSE) read TanzaniaInvest exclusive interview with Moremi Marwa, CEO of DSE.